Fall is my favorite season and it enjoy it to the fullest, I like to create a bucket list of things to do. Most of the items can be done for little to no dolla-dolla bills and you will be spending lots of time with your friends and family. Just how I like it! 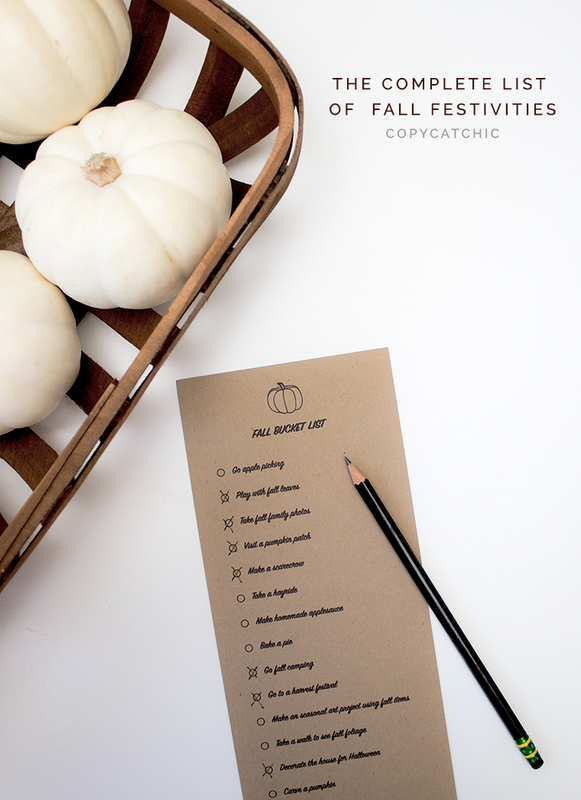 I started compiling a list of my favorite fall activities after realizing how successful our holiday advent calendar was during December. I figured why not priorities some fun fall activities as well?! 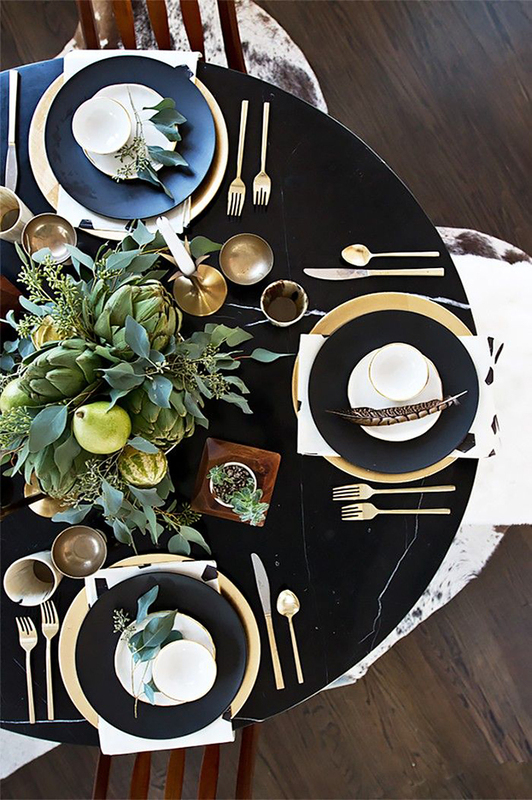 I’m excited to be hosting Thanksgiving dinner at my house this year and this inviting tablescape from Bre at Rooms For Rent is my inspiration! It’s a wonderful balance of soft and natural elements with just enough shine to make it feel special. Exactly the vibe I’m going for as I try to stay focused on enjoying this time with family and friends and not on the enormous amount of preparation! 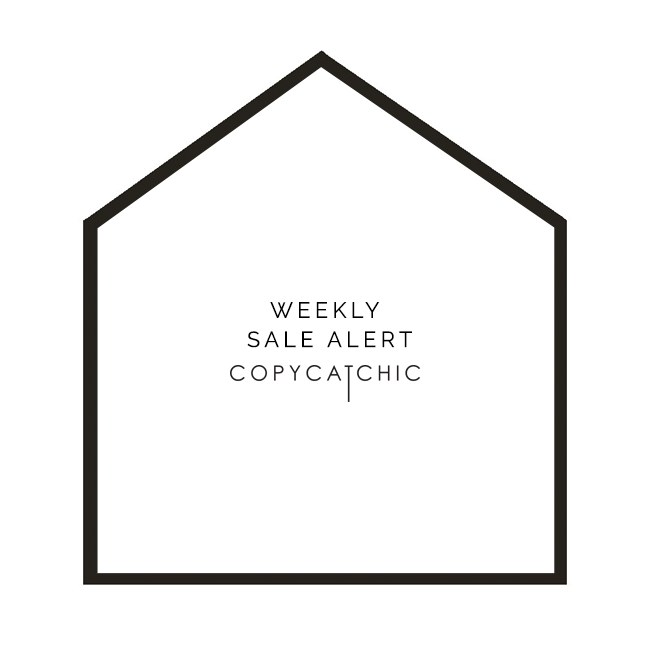 Here are my affordable picks to make this Thanksgiving easy and enjoyable. Every year my husband and I throw a Friendsgiving for all of our closest friends. I think we might be going on our 12th year now (wow!). 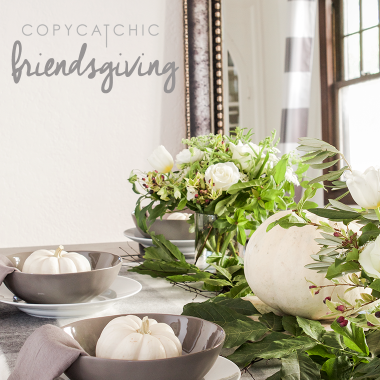 I like to start thinking about table decor early, so when it’s time, I can worry more about food prep and less about decor 😉 I partnered with World Market and went though a little trial run this week. They’re always my first stop for entertaining essentials and decor. You just can’t beat their selection and prices! I decided to map out a few different looks using the same color scheme. 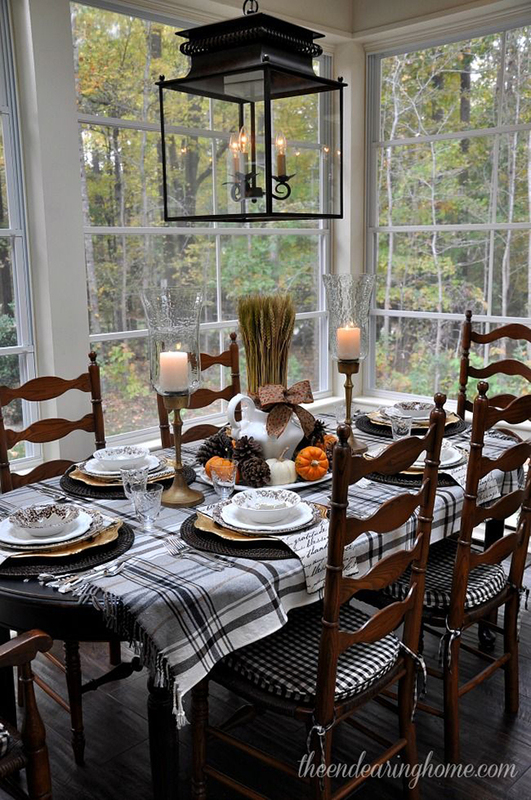 I used a gray buffalo check plaid on the table and mixed it with some white and gray dinnerware. 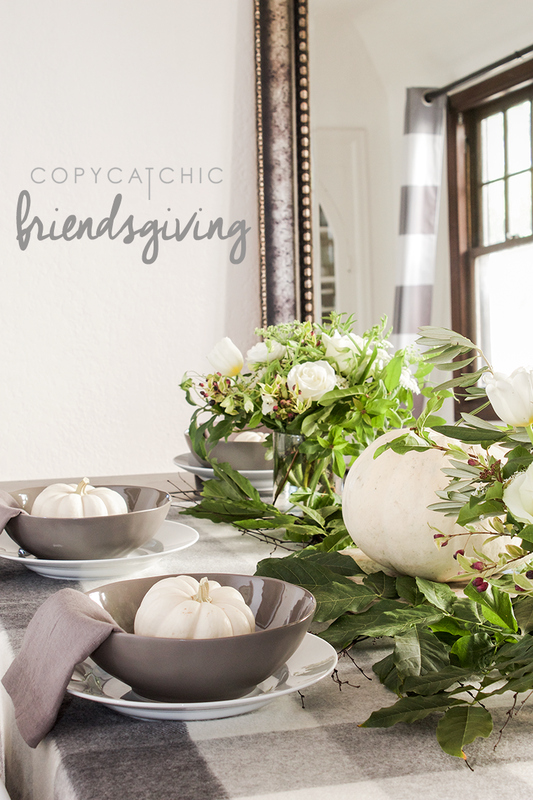 I love how gray is kind of a non-traditional color to use for fall. It really gives the table a more updated look. 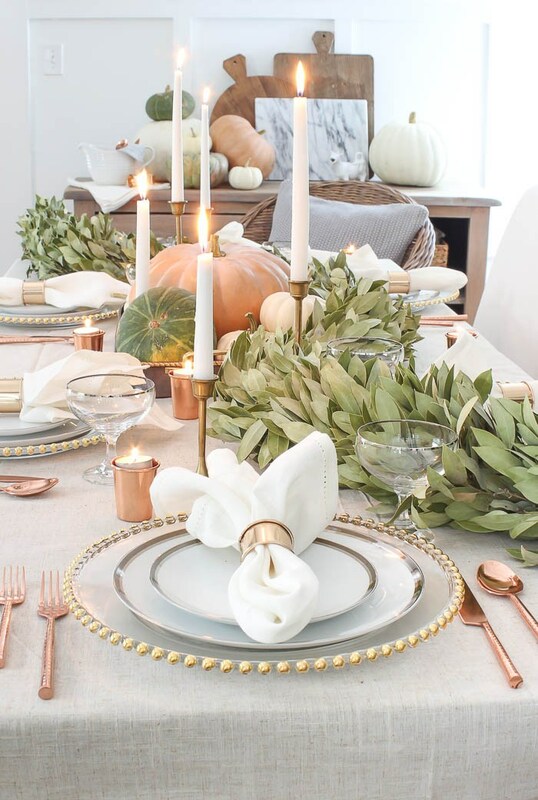 And isn’t it funny how mixing around the accessories can give the table a different feel? 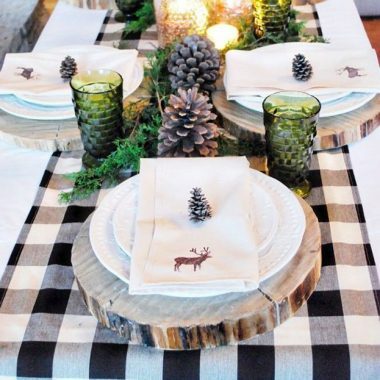 Also a huge factor in tabletop decor? The florals. The gorgeous flowers I used today are from my favorite local floral designer Freya Prowe from Brother & Sisters Flowers. Take a look at the different table setups below and let me know what you think! Which one is your favorite? Tonight’s the night! Our annual Friendsgiving dinner 🙂 We decided to celebrate it at our cabin in Tahoe this year with all of our closest friends! Even though the logistics were a little more work, I think the cabin and snow will make up for it. 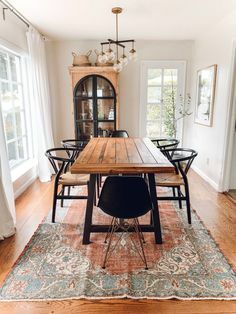 I wanted to share with you my vision for our dinner this year (You also can find more inspiration on my Friendsgiving Pinterest board). I wanted the perfect blend of rustic sophistication. I adore a mix of wood and natural texture with high contrast black and white – obviously 😉 It will be fun to decorate against the woodsy backdrop in our cabin! 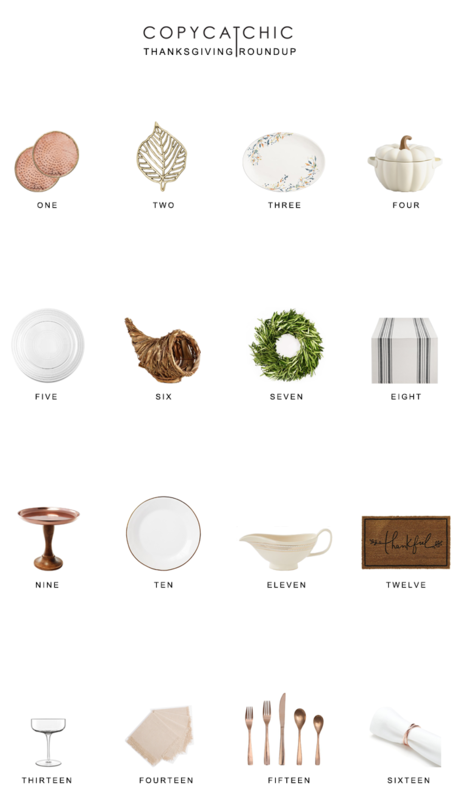 These were just a few of my favorites from Crate and Barrel! And as you can see they don’t scream fall or thanksgiving, but just give a subtle, welcome hint. AND you could easily use these pieces for any occasion. Total score. 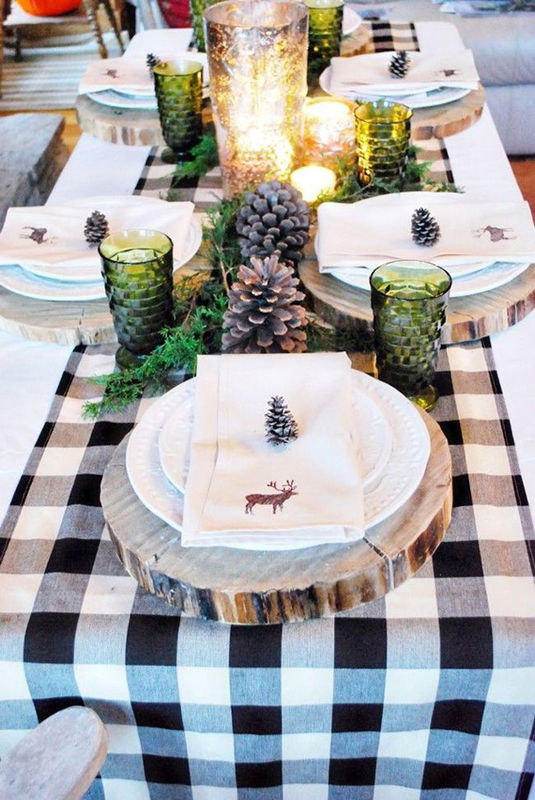 So…the decor is planned and the table is set, now let’s bring on the food! We’re hosting a Friendsgiving dinner next week, it will be our 12th one! We love it. 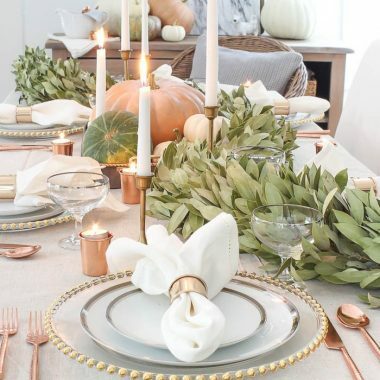 So my mind has been Thanksgiving decor overload lately. No website is safe from my search 😉 I wanted to share a few goodies I have my eye on over at Cost Plus World Market. 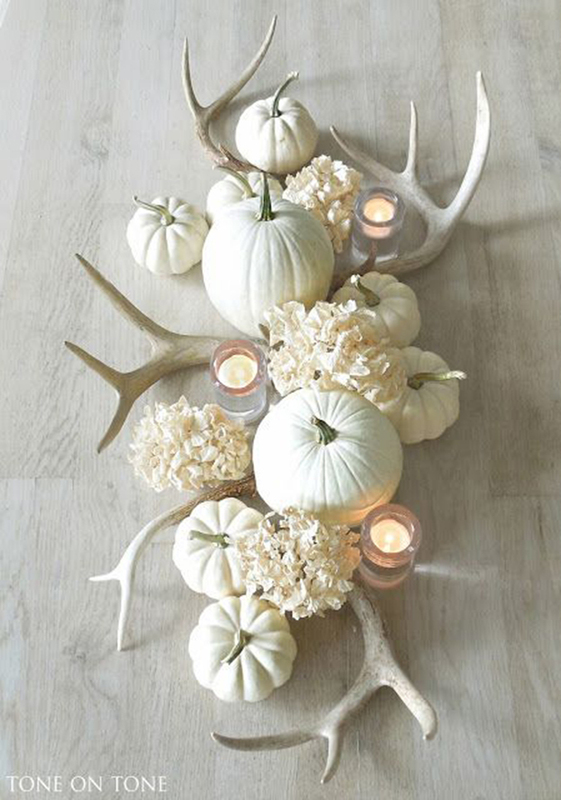 They have this super fun woodland theme going on that I’m loving for fall. They always have such a good selection of not only decor items, but food products as well. So I’ll definitely making a supply run over there. Thanks for making it easy on me WM, you rock. I used this gorgeous inspiration pic and recreated the look. So instead of #FiveforFifty it’s actually seven items for $50 or less 😉 Enjoy! 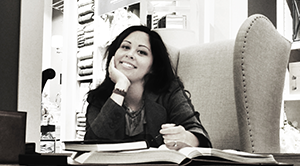 See all of our #FiveforFifty posts here! 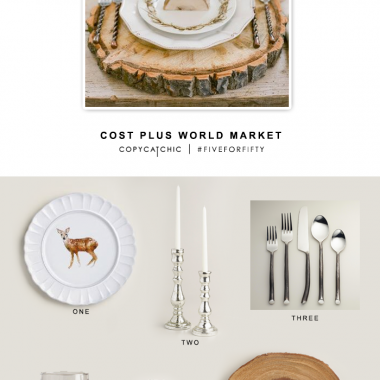 This post is in partnership with World Market, a brand I love. All opinions here are my own. 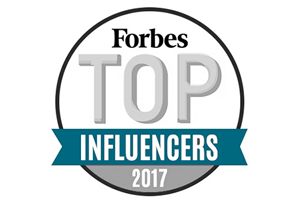 Thank you for supporting the affiliate posts who make this blog possible.